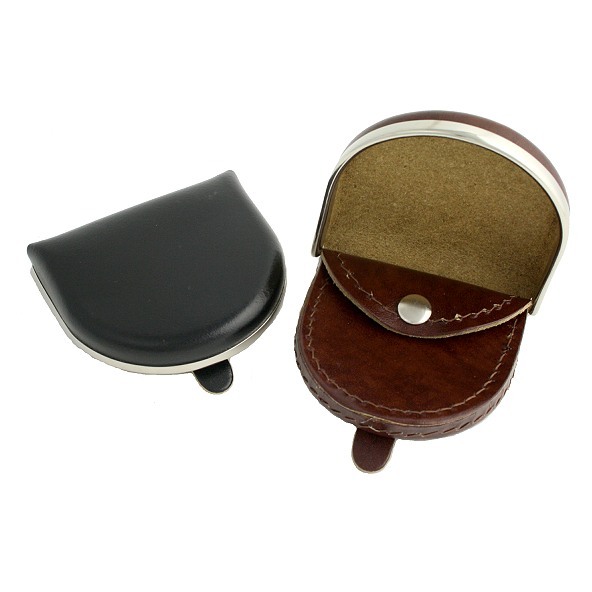 A leather coin purse with silver rimmed frame and internal pouch with popper fastening. Available in black or brown. An excellent way to keep your change in your pocket not on the floor! Approximate size 3" x 3".